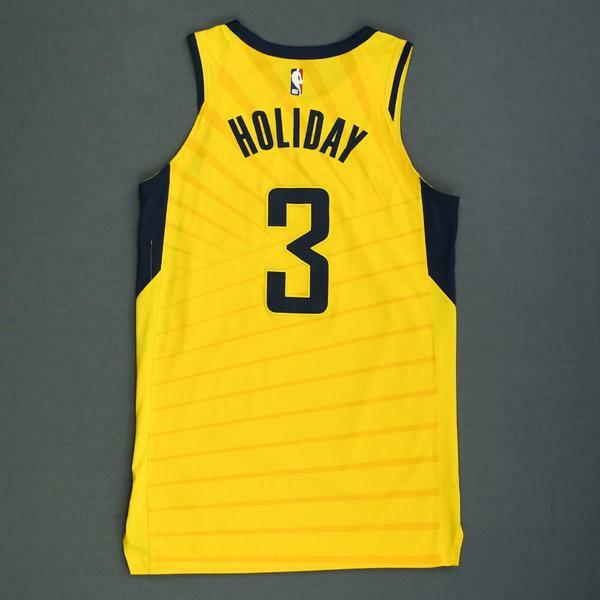 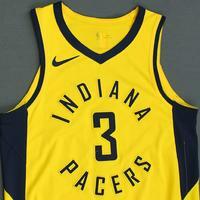 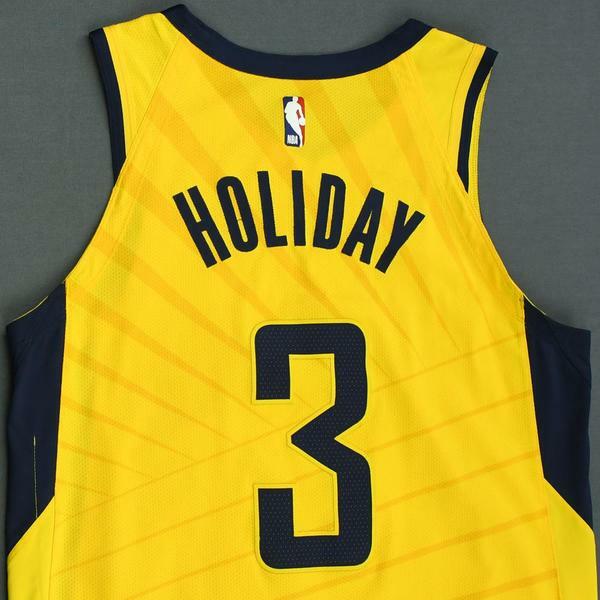 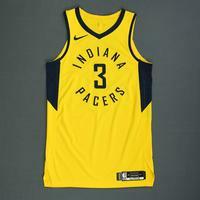 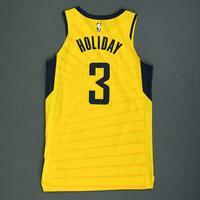 Holiday wore this jersey during the Pacers' 112-90 victory over the Orlando Magic on December 7, 2018 at Amway Center in Orlando, FL. 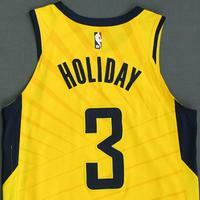 He played 22 minutes and registered 7 points with 3 assists, 7 rebounds, 1 steal and 2 blocked shots. 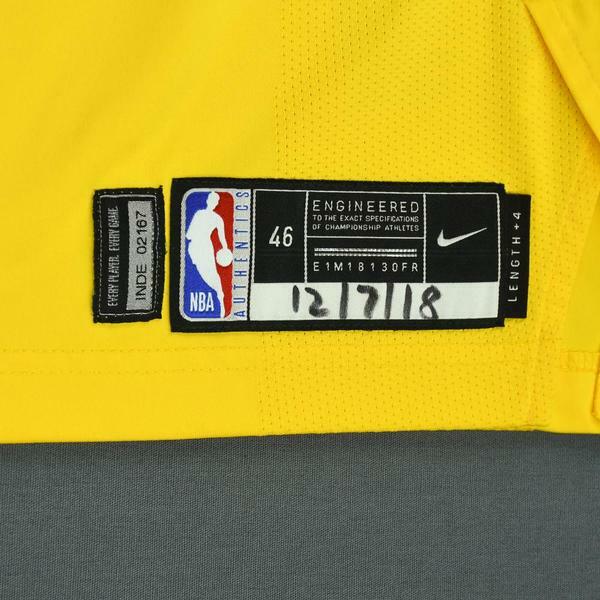 "12/7/18" is handwritten on the jock tag.